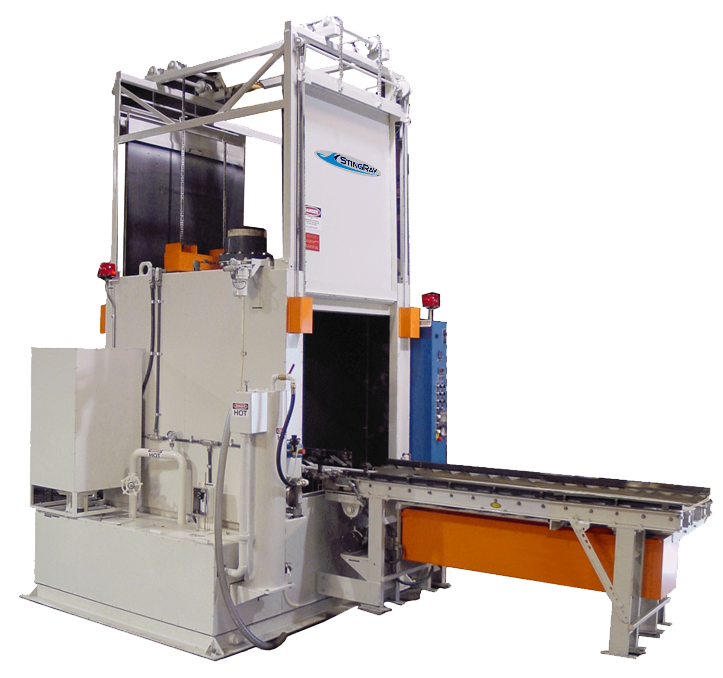 The industrial parts washer system speeds flash drying of parts at lower cost than the Hot Air Blow Off (HABO option). While the HABO is designed to blow out pockets of water, the Evaporation Dryer enhances the speed of flash drying in the parts washer. Flash drying uses the heat contained in the parts after washing to dry them. Flash drying usually occurs after the parts washer door is opened and the parts are exposed to the dry air outside of the washer. The water on the parts then "flashes" in to water vapor in the air. Removing the moisture laden air inside the washer allows the flash drying to happen inside the parts washer. The system dries parts quickly before the door is opened. The two speed steam exhaust blower operates on high flow for an adjustable timed period at end of wash cycle. 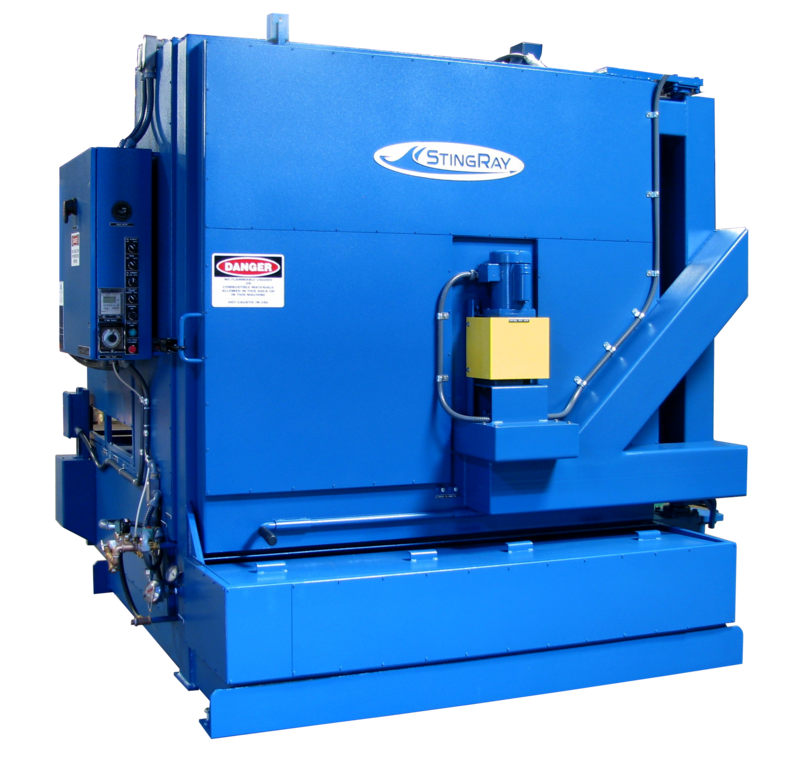 The blower, during high speed operation, has 6 times the volume flow of the normal steam exhaust and pulls dry outside air through the wash cabinet to speed Flash Drying parts.